Picture this: You get home from work early thanks to your short commute, pull into your private garage and park in your assigned space. A short walk from the garage puts you right in front of the door to your condo, and as you walk inside, your stresses from the day fall away. You throw open the French doors, make yourself a cocktail, and enjoy the view of the landscaped courtyard below. Later, you pop out to meet some friends for dinner, but there is no need to move the car ~ there are dozens of restaurants ranging from casual to fine dining all within walking distance. (The Red Star is a favorite and it is only a 2-minute walk away.) 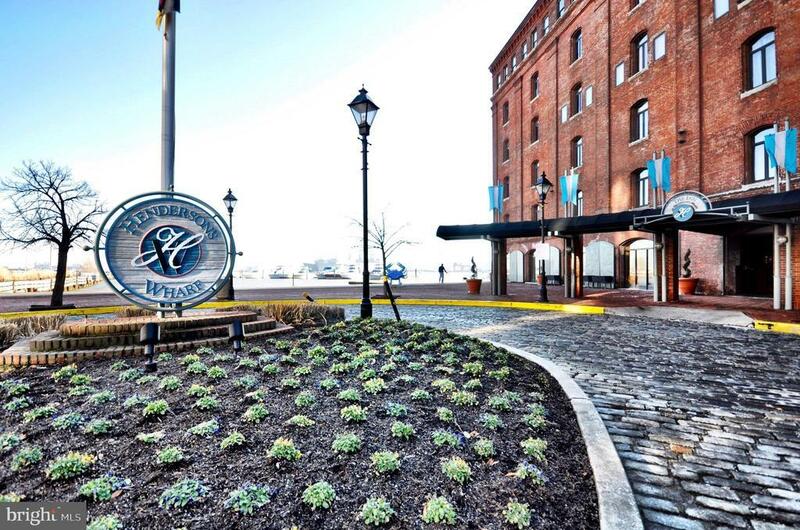 This is THE premier historic Fells Point location and you are able to live here for a price that defies logic, all because the condo could use some updating. Thats the best part, though, because you can make your home exactly what you want! No settling for someone elses design ideas or color choices, and you will not break the bank since the condo is a manageable 872 square feet. You will also enjoy a 24-hour fitness center, 24-hour front desk and concierge, and a shared courtyard that is so lovely, people have chosen to get married here. Welcome to your new lifestyle featuring security, ease and plenty of fun!